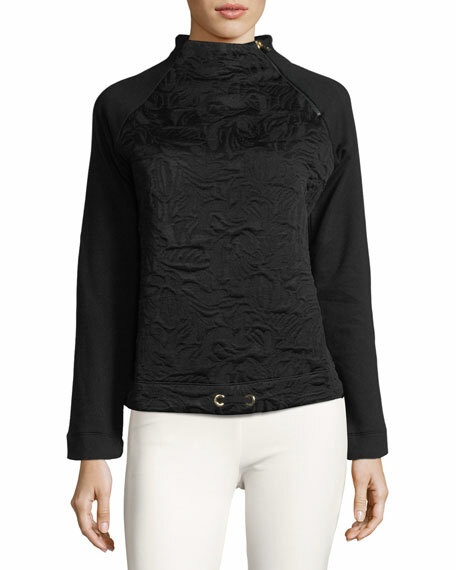 Bogner Sport "Smina" sweater with jacquard front. Mock neckline; side zip detail. "Passion for sport and fashion." Bogner has stuck to this ideal for more than 75 years. What started in such a modest (yet committed) way as a small production site in a backyard in the center of Munich in 1932 has developed over the decades into an international label. The seven-decades strong brand lives for the challenge of outfitting loyal fans in the fiercest, most high-functioning sportswear fashion possible. Ambitious? Not when you consider that both the company's founder and current chairman were Olympic ski champions. 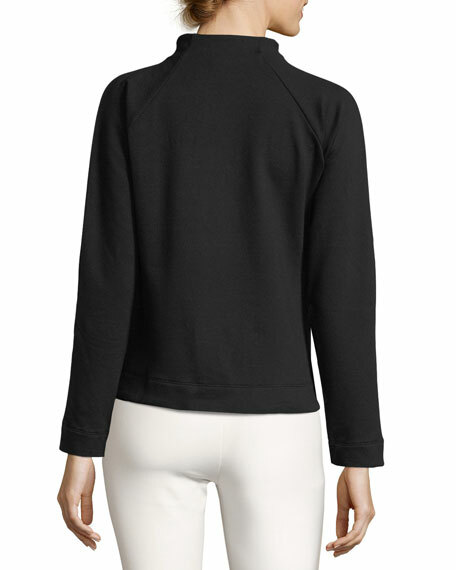 Bogner Sport combines function, fashion, color, and fun. The collection stands as much for ski wear and functional performance as for fanciful fashion highlights, and owes its unique spirit to an enthusiasm for winter sports and sheer joie de vivre. For in-store inquiries, use sku #2368285.